In identifying this as the chief commandment, I believe Jesus sets worship right at the center of human life. Anyone who has sought to live out this command every day knows the impossibility of loving and trusting God in all things at all times. Yet, the command is there. The call remains to trust and respond through worship and care for those around us. In my confirmation class as a youth I remember learning that the word liturgy means “service or work of the people”. When I attended worship after that, I saw it as my service to God. But after a while I wondered what I could possibly offer to God as a service. What does God really need from me? The simple answer is: nothing. But God’s desire is not only for God’s self. God’s desire is for our own sake. For as much as we give of ourselves in trust that what God says is true, we are able to entrust more than just our hearts and minds to God’s will. We begin to trust God with all our needs. We begin to see that in worship we truly are served by God. God fills us with the knowledge of being loved, restores us through forgiveness, provides comfort for hurting hearts, fills us with new life through bread and wine and helps us to reimagine purpose and joy in life. In truth, worship includes the “work of the people,” but it is God’s Spirit who is the true worker in worship. God’s Spirit serves those present with an empowering Word that frees them to trust what has already been done for them. 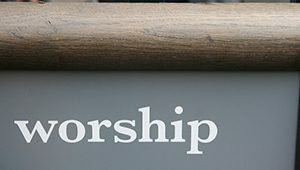 True worship is a call into the community of believers for the work of disengaging from the narrow focus of our own lives’ problems and abilities to see the deeper and fuller view of life’s Source. We can then reengage the realities of the world with a clearer perspective. This is how God serves you in worship. Don’t miss the opportunity to join in the work of the people and hear again about the great love our God has for you! I encourage you to make worship a discipline this month. Work it in to your busy life! 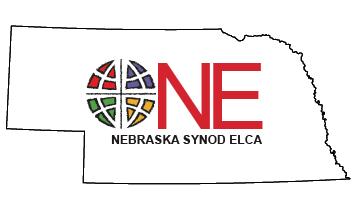 Pastor Paula Lawhead is the chairperson of the Nebraska Synod Leadership Development Table and serves as the pastor for Nebraska Lutheran Outdoor Ministries.